The security temperature in the South China Sea (SCS) has ratcheted precipitously in recent weeks. Sam In, a 48-year-old rice farmer from Cambodia’s northeastern province of Stung Treng, never knew that people paid for water until he was forced to move out of his home on the banks of a Mekong River tributary two years ago. Indonesia is not the most powerful nation in ASEAN, according to the latest study by the Lowy Institute, which ranks the largest Southeast Asian country behind Singapore and Malaysia in terms of power. Last month, heads of state gathered in Singapore for the 32nd annual ASEAN Summit to discuss a wide variety of issues—from the Code of Conduct on the South China Sea and the humanitarian crisis in Myanmar’s Rakhine State, to advancing regional economic integration and navigating geopolitical power shifts. 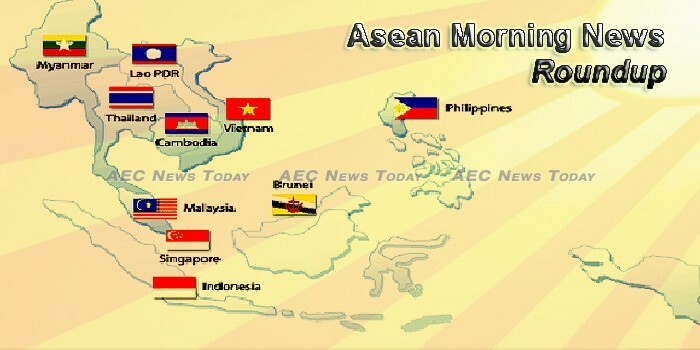 ASEAN-driven Indo-Pacific a strategic necessity? President Joko “Jokowi” Widodo, in his address during the recently held ASEAN Summit in Singapore, maintained that the regional grouping must continue to stay relevant in an increasingly uncertain geopolitical and geoeconomics environment. SUSTAINABILITY issues are still often seen as long-term concerns, rather than requiring urgent attention, despite the Paris agreement to take action to address climate change. Within the Association of Southeast Asian Nations (Asean), there have also been transboundary challenges – such as the fires and haze of past years – that question countries’ real commitment to implementing sustainability pledges. At the 32nd Asean Summit last month, Singapore introduced the Asean Smart Cities Network (ASCN) as one of the key deliverables. The ASCN is aimed at being prepared for the security and socio-economic implications arising from changing centres of urban populations. Is certification enough to protect Southeast Asia’s forests? There is no questioning the value that certification could bring to agroforestry, a sector lumbered with a range of issues from the abuse of indigenous people’s rights and deforestation, to biodiversity loss and greenhouse gas emissions. IN A BID to improve the efficiency of Internet service providers (ISPs) in Southeast Asia, Huawei Technologies Co yesterday launched three products designed to accelerate ISPs’ digital transformation. The Coral Triangle, a marine region stretching across Indonesia, the Philippines, Malaysia, Papua New Guinea, the Solomon Islands and Timor Leste, is endangered by extensive human activities. A few days ago, I had the opportunity to be one among the hundred who attended the launch of the National Footprint Accounts 2018 Edition of the Global Footprint Network. THE decoupling thesis – that Asia is now more immune from what goes on at the Federal Reserve – is being tested as 10-year US Treasury yields hover near 3 per cent. A riot at a police detention center near Indonesia’s capital left five officers and a prisoner dead and another officer held hostage Wednesday. The Islamic State of Iraq and Syria (ISIS) said its fighters were involved but authorities blamed the violence on a food fight. A special envoy of Indonesian President Joko Widodo announced Wednesday that he was donating US$200,000 to help disadvantaged people in Taipei City. Indonesia has enacted Regulation no.14/2018 on Foreign Ownership of Insurance Companies, which came into force on 18 April 2018 and confirms a maximum threshold for foreign ownership of an Indonesian insurance company of 80%. The German government has agreed to provide a grant of over 67 billion kip (EUR 6.8 million) for the Vocational Education Financing Facility (VEFF) project in Laos. Singapore and the Lao People’s Democratic Republic inked an agreement on Wednesday evening (May 9) to fight climate change and enhance sustainable development. Prime Minister Thongloun Sisoulith has urged media personnel to deliver news more accurately and promptly, saying this would improve the quality and effectiveness of their work. MALAYSIA’S Opposition Pakatan Harapan (PH) on Wednesday night said it has won enough parliamentary seats in Malaysia’s general election to form the next government, but the Election Commission said no party has simple majority of 112 seats as of 1.42 am, with 47 seats yet to be confirmed. Malaysian Prime Minister Najib Razak has suffered a stunning elections loss to former leader Mahathir Mohamad, who at 92 is set to become the world’s oldest leader. The United Nations Security Council urged Myanmar’s government on Wednesday to carry out transparent investigations into accusations of violence against mainly Rohingya Muslims in the country’s Rakhine state and to allow immediate aid access to the region. The European Union (EU) will extend a grant aid of 221 million Euros (294 million U.S. dollars) to Myanmar for promoting the country’s quality education, Myanmar News Agency reported on Wednesday. Myanmar will repatriate more than 1,000 Muslim refugees who have fled northern Rakhine State for Bangladesh, Union Immigration and Population Minister U Thein Swe said on Monday. Trade deficit widened to $2.6 billion in March, as exports sank for the third straight month this year and imports barely grew, data from the Philippine Statistics Authority show. Over 1.5 million government employees will receive a total of P36.2 billion in tax-free midyear bonuses beginning May 15, the Department of Budget and Management (DBM) announced on Wednesday. MULTIMEDIA conglomerate ABS-CBN Corp. served on Wednesday a $3.86-million statement of claim against Dazcon Inc. pursuant to an issuance of a Canadian Federal Court over the latter’s illegal distribution of copyrighted movies and television shows. On 8 May, AI Singapore signed a Memorandum of Understanding (MoU) to further efforts to enhance Singapore’s artificial intelligence (AI) capabilities to power the future digital economy. SINGAPORE and Brazil have signed a comprehensive bilateral Avoidance of Double Taxation Agreement (DTA), as part of the ongoing effort to further facilitate bilateral trade and investment cooperation. Thailand’s private investment applications in January-March more than tripled from a year earlier to 205 billion baht, mainly for projects in the country’s industrial east, the investment promotion agency said on Wednesday. THE European Union delegation visiting Thailand is optimistic of making a breakthrough in free trade talks with Thailand within four years, under the elected future government. Vietnam has just celebrated its two biggest IPOs and its first-ever ranking as Southeast Asia’s hottest capital market. The chief executive of Adidas expects a shift in its sourcing of footwear from China to Vietnam to continue although he shrugged off concerns on Wednesday about the possible imposition of U.S. tariffs on Chinese-made shoes. The government’s hunt for foreign investment has attracted interest from foreign buyers.